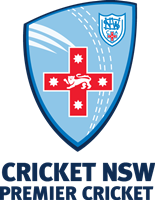 A scorching hot Australia Day didn’t stop the individual brilliance of the lower grades in the McDonald’s NSW Premier Cricket competition. Parramatta’s Luke Dempsey led the way with a stunning knock of 155 against Mosman in second grade. Dempsey faced just 87 deliveries to compile his mammoth score which included 18 boundaries and seven sixes. Parramatta’s total of 313 was more than enough to secure a 68-run win. Two other players also scored impressive second-grade centuries. UTS North Sydney’s Oliver Knight hit 117 at the top of the order. The opening batsman smashed six fours and eight maximums in his innings as he carried his side to a 20 run win. Bankstown’s Zeeshaan Ahmed scored an unbeaten 102 against Hawkesbury. He combined for a 172 run second wicket partnership to help his side cruise to a comfortable nine-wicket victory. Blacktown fourth grade batsman Nadim Ahmad was another batsman to score a notable century in round 11 scoring 106 against Fairfield-Liverpool only to be unfortunately run out. Sydney’s Stephen King was the front-runner with the ball in round 11 of the McDonald’s NSW Premier Cricket competition. The destructive opening bowler dismissed Manly-Warringah’s entire top six batsmen to finish with 6-41 from his ten overs. However, the victory wasn’t to be for his side who were dismissed for 98 in pursuit of Manly-Warringah’s 178. Fairfield-Liverpool’s Lachlan Johnston was the next best bowler for the week. The fifth-grade spin bowler struck with figures of 5-24 to bowl out Blacktown for 101 and claim six competition points. Blacktown’s Benjamin Butler and Northern District’s Rishabh Joshi both collected 5-38 in fourth and fifth grade respectively, which led both their teams to victory. Gordon Cricket Club’s Dylan Hood wasn’t too far behind collecting 5-43 in fourth grade against St George.